"Aimee and Alan have unusual pasts and secrets they prefer to keep hidden. Aimee's deceased mother struggled with mental illness and hallucinations, and Aimee thinks it could be hereditary. After all, she sees a shadowy river man where there isn't one. And then there was that time she and her best friend Courtney tried to conjure a spirit with a Ouija board ...Alan is Courtney's cousin. His family moved to Maine when Courtney's father went missing. It's not just Alan's dark good looks that make him attractive. He is also totally in touch with a kind of spiritual mysticism from his Native American heritage. And it's not long before Aimee has broken up with her boyfriend ...But it's not Aimee or Alan who is truly haunted - it's Courtney. In a desperate plea to find her father, Courtney invites a demonic presence into her life. Together, Aimee and Alan must exorcise the ghost, before it devours Courtney - and everything around her." 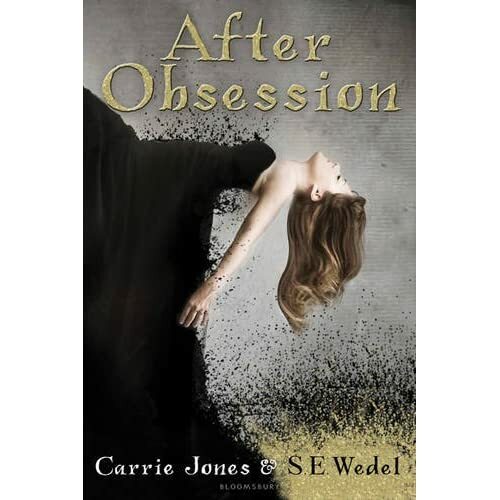 Now I’ve read and love every single one of Carrie Jones’s books in the Need series so far and loved every single one of them, so when I heard about After Obsession I just couldn't wait to get it! One thing I have noticed about Carrie Jones though, is that she it amazingly unique. All her books and ideas are totally unique. Now this book is so amazing, because Carrie Jones has written it in such a way that I can I read it before bed and not slap it down, pull the covers over my head and stay to frightened to get out and go to the toilet. I mean I’ve always loved Carrie’s writing, being some musical and light, and I think Steve Wedel’s writing in this novel created the perfect contrast with a edgier, boyish tone to it. The storyline itself was interesting. It’s generally the main character that is being haunted, or whatnot, yet in this book it was the main characters who were on the other end of the haunted, or in this case possessed. The storyline was really good, and for a short book it had a lot crammed into it! All the characters were so close to you in the book, along with the River Man who wanted to tear to pieces when you weren’t completely scared of him, but I have to admit my favorite was Aimee. She was just awesome, smart, funny, and typically pretty, and she also instantly reminded me of Ariana Grande. This book is definitely one of a kind, filled with romance and horrowr and pair that works as well as Aimee and Alan and I really, really, enjoyed this!